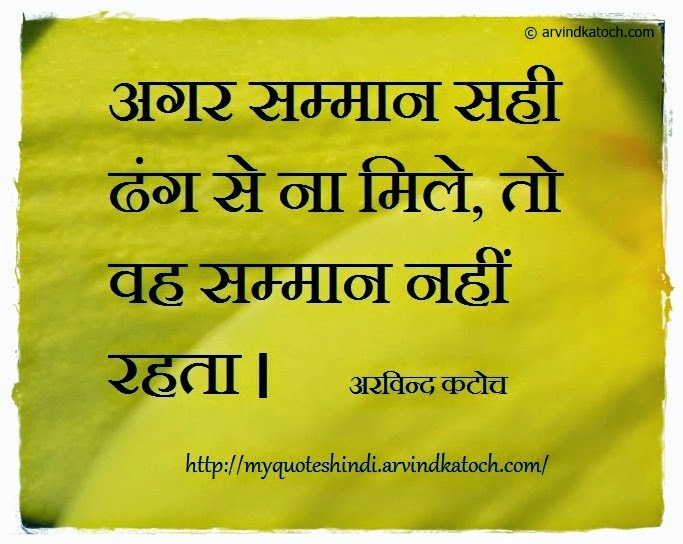 Read all Famous Quotes and Thoughts of Arvind Katoch as HD Picture Messages. "अगर सम्मान सही ढंग से ना मिले, तो वह सम्मान नहीं रहता । अरविन्द कटोच"
"If you do not get the respect correctly, then it does not remain a respect. Arvind Katoch"
Pretty good post. I will add bookmark on your blog and wanted to say that I have really enjoyed reading your blog posts. Any way I'll be subscribing to your feed and I hope you post again soon.